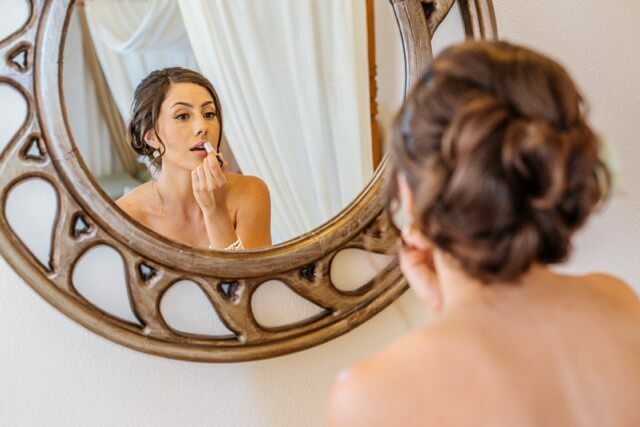 This week’s hair and make-up blog features one beautiful bride, four lovely bridesmaids and many amazing words of praise for Suzanne Morel Face and Body Care! 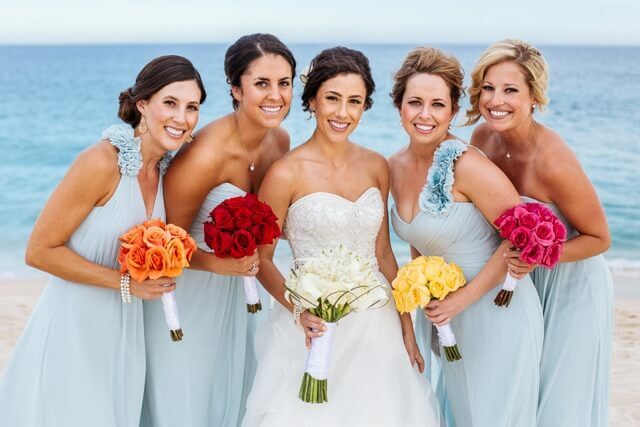 Julie got married this past April at Dreams Resort. 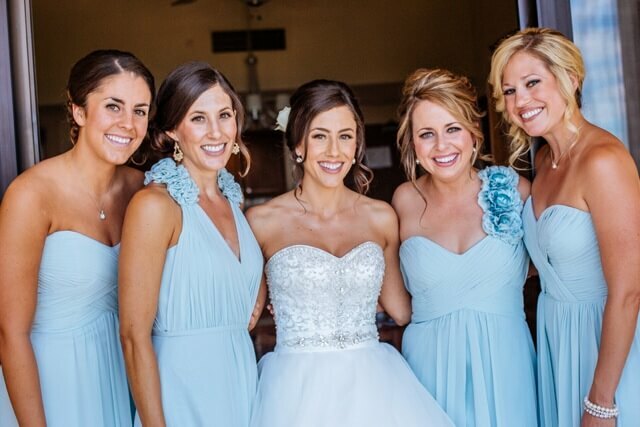 She and her bridal party all wanted stylish up-dos. 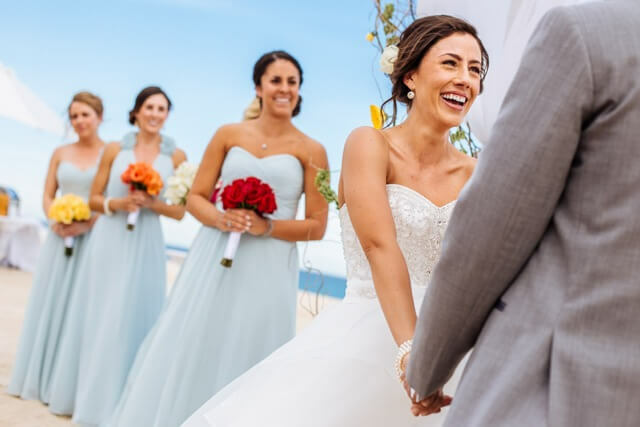 We gave each a slightly different look, which went perfectly with their different pastel dress styles and colorful bouquets. Julie, you all looked beautiful, and we are happy to have been a part of the magic of your wedding day! This entry was posted in Cabo Bridal Hair and Makeup and tagged Bridal Hair, Bridal Makeup, bridesmaid makeup Cabo, Cabo Destination Wedding, Cabo hair stylist, Cabo makeup artist, destination wedding hair and makeup, Dreams Resort, Suzanne Morel, Suzanne Morel review, wedding hair, wedding makeup, wedding style, wedding updo.